Thunder Road and American-Canadian Tour (ACT) officials have announced the disqualification of Brandon Gray from the Allen Lumber Street Stock feature at the 37th Coca-Cola Labor Day Classic held Sunday, September 6. Gray crossed the finish line first in the 25-lap feature but was found to have illegal engine components during post-race technical inspection. These parts have been confiscated by ACT. In addition to losing all points and purse money from the Labor Day event, Gray has been suspended from all Thunder Road– and ACT-sanctioned events for the remainder of the 2015 calendar year. Gray must also pay a fine of an undisclosed amount to be eligible to return to competition. 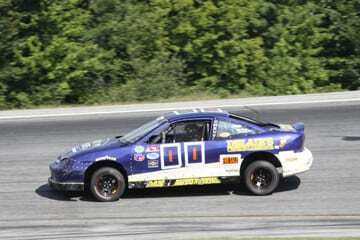 Wolcott’s Richard Gravel inherits the Street Stock Labor Day win. Jennifer Getty is the new second-place finisher while Matthew Smith now completes the podium. Full results and the updated point standings are available on the Thunder Road web site.